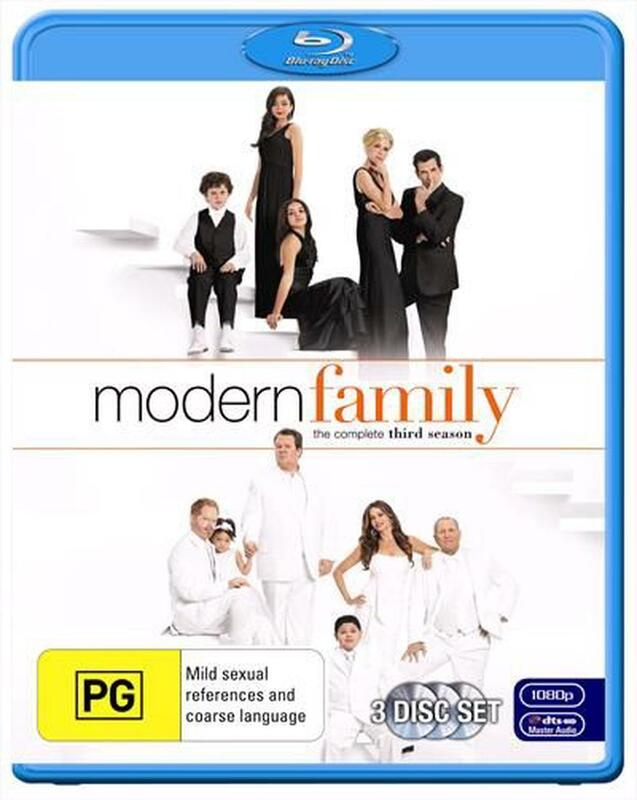 Critically acclaimed and lauded for revitalising the television sitcom, Modern Family is also quickly cementing itself as a culturally defining series. A recipient of the 2010 and 2011 Emmy Award for Outstanding Comedy Series and a Screen Actors Guild Award for Outstanding Performance by an Ensemble in a Comedy Series, Modern Family returns for its third season. Modern Family stars Ed ONeill as Jay, Julie Bowen as Claire, Ty Burrell as Phil, Sofa Vergara as Gloria, Jesse Tyler Ferguson as Mitchell, Eric Stonestreet as Cameron, Sarah Hyland as Haley, Nolan Gould as Luke, Ariel Winter as Alex, Rico Rodriguez as Manny and Aubrey Anderson-Emmons as Lily. These three unique families give us an honest and often hilarious look into the sometimes warm, sometimes twisted, embrace of the modern family.